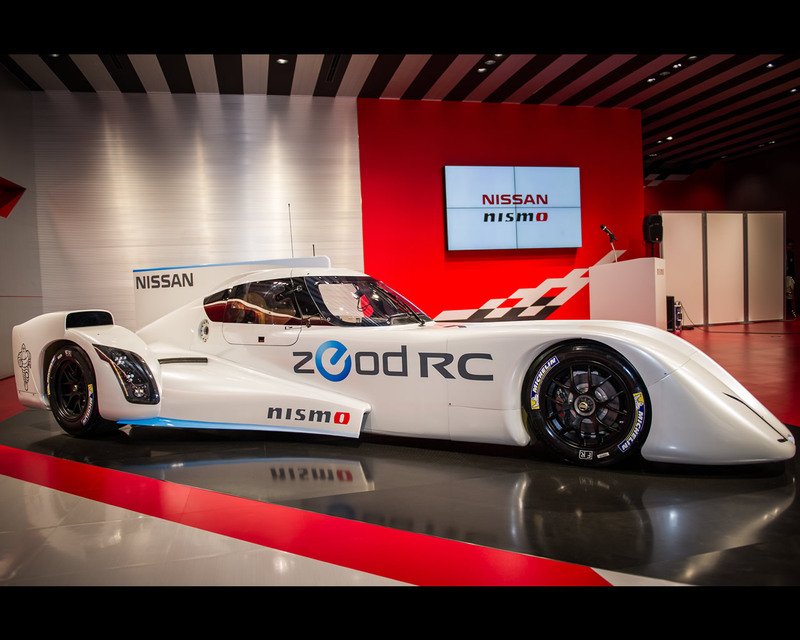 Yokohama, Japan (October 17, 2013) - After an intense eight months of development, design and construction, Nissan's revolutionary Nissan ZEOD RC electric racecar was unveiled today at the headquarters of Nissan's performance arm, Nismo, in Yokohama today. 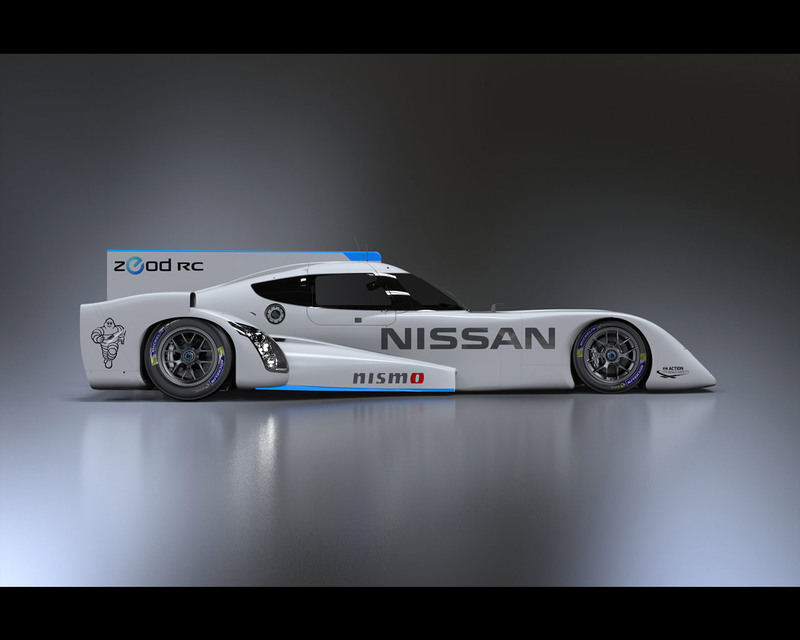 The Zero Emissions on Demand racer has gone from zero to ZEOD in a mere 33 weeks after Nissan Chairman and CEO Carlos Ghosn in February announced Nissan's goal of returning to the Le Mans 24 Hours next year with electric power in the same venue as today's announcement. 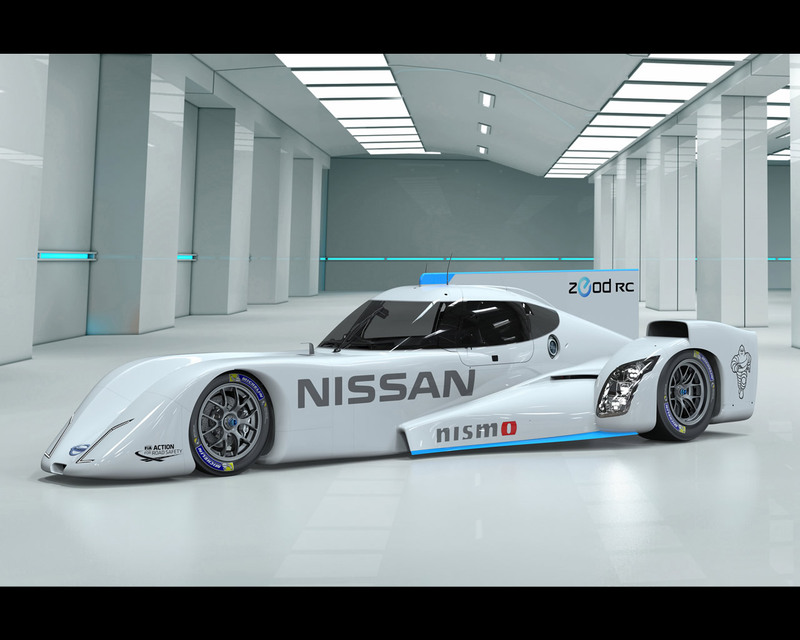 The ZEOD RC will race next year at Le Mans after being invited by the Automobile Club de l'Ouest to occupy the “Garage 56" entry for vehicles showcasing new and innovative technology. 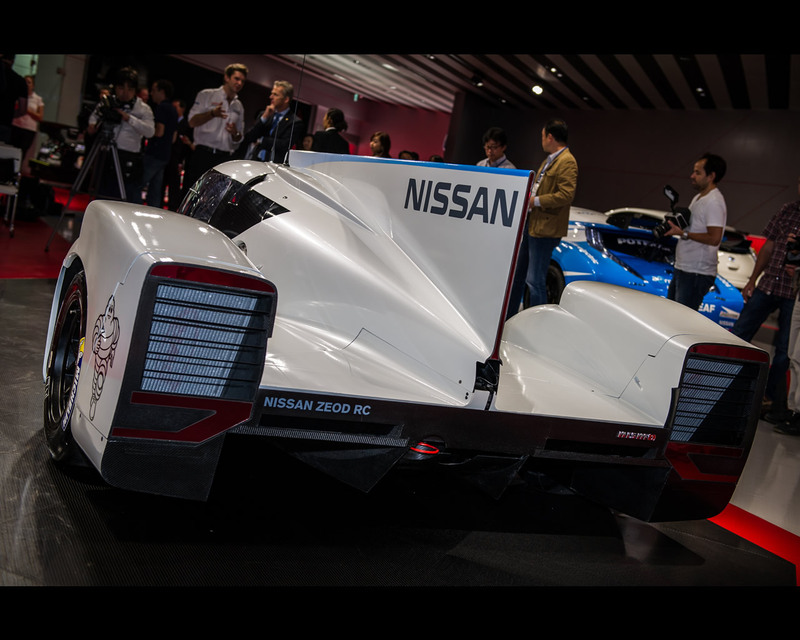 The initial prototype showcar of the revolutionary electric racer was revealed at this year's Le Mans 24 Hours, but today's unveil at the Nismo headquarters showcased the dramatic evolution of the design featuring revamped styling, new cooling inlets and aerodynamic updates. 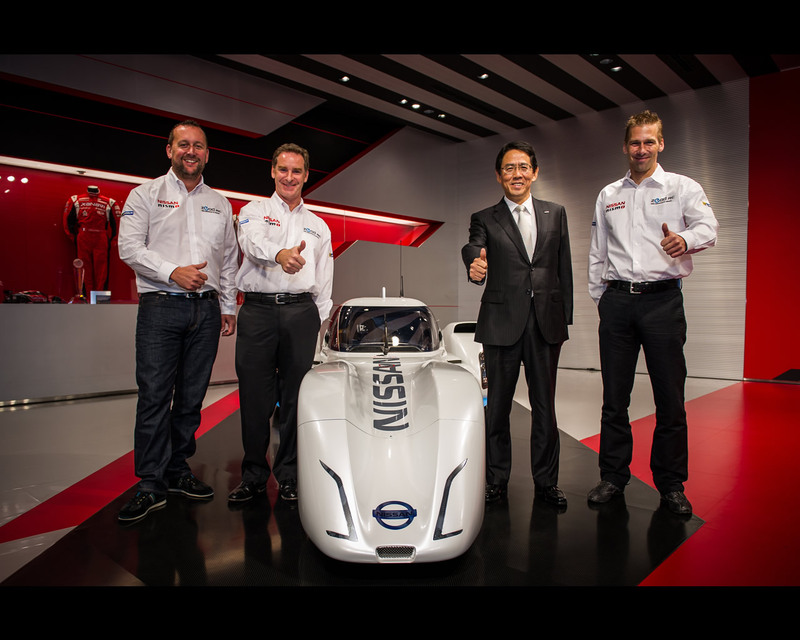 The Nissan ZEOD RC was unveiled today by Nismo President, Shoichi Miyatani; Nissan Global Motorsport Director, Darren Cox; and Nissan Director of Motorsport Innovation, Ben Bowlby. 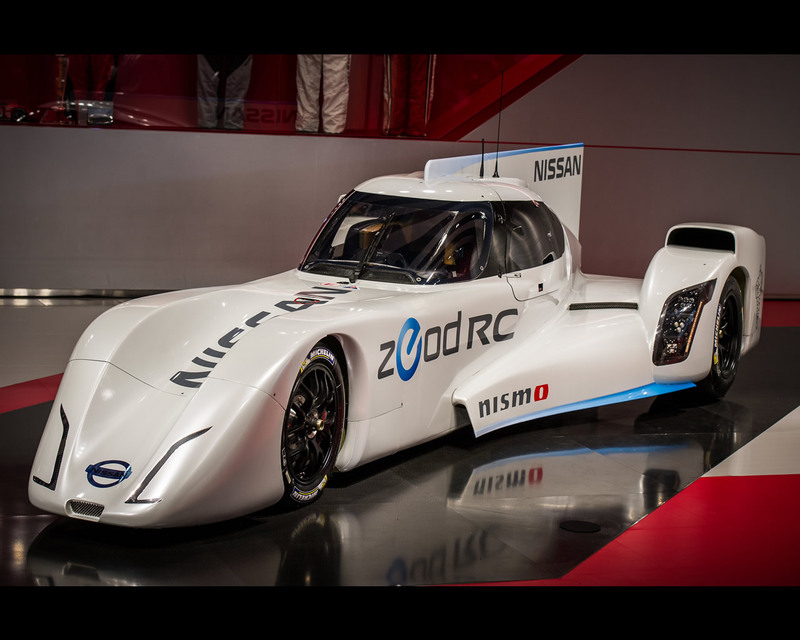 “The ZEOD RC utilizes our technology gained through the development of the Nissan LEAF Nismo RC, the first EV racer based on the mass production zero emission vehicle," Shoichi Miyatani said. 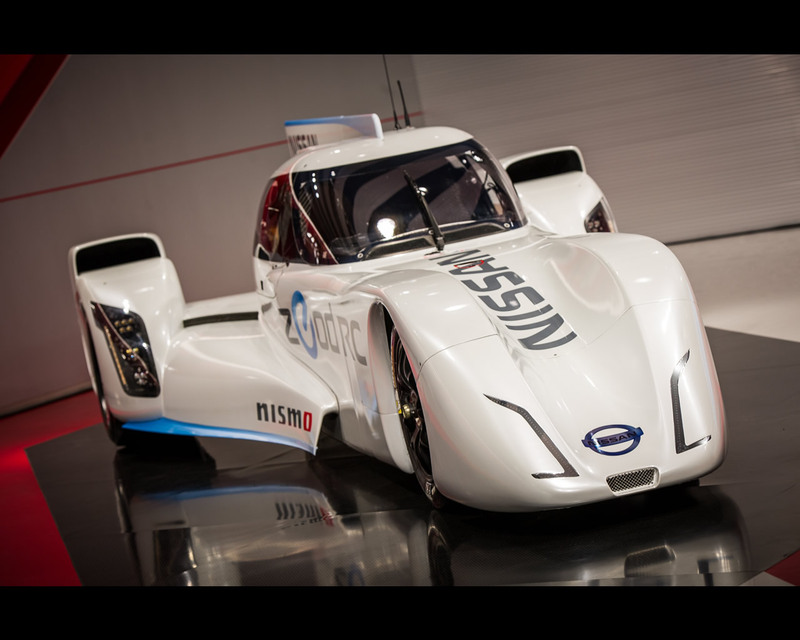 “The LEAF RC's energy management and efficient energy recovery system that is suitable for racing are just examples. 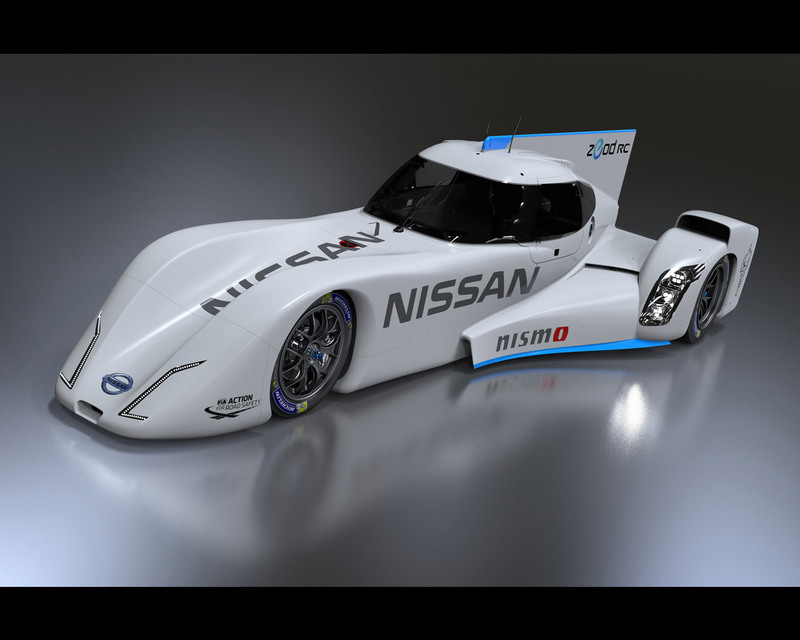 We believe these technologies serve as important steps for using EV for motor sports." 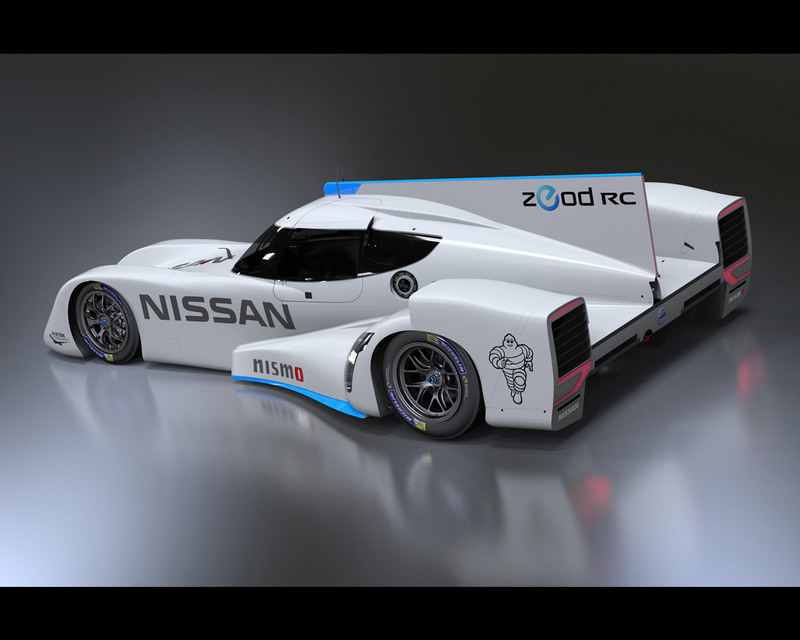 The Nissan ZEOD RC will become the first car to complete an entire race lap of the 8.5-mile Le Mans circuit on nothing but electric power. 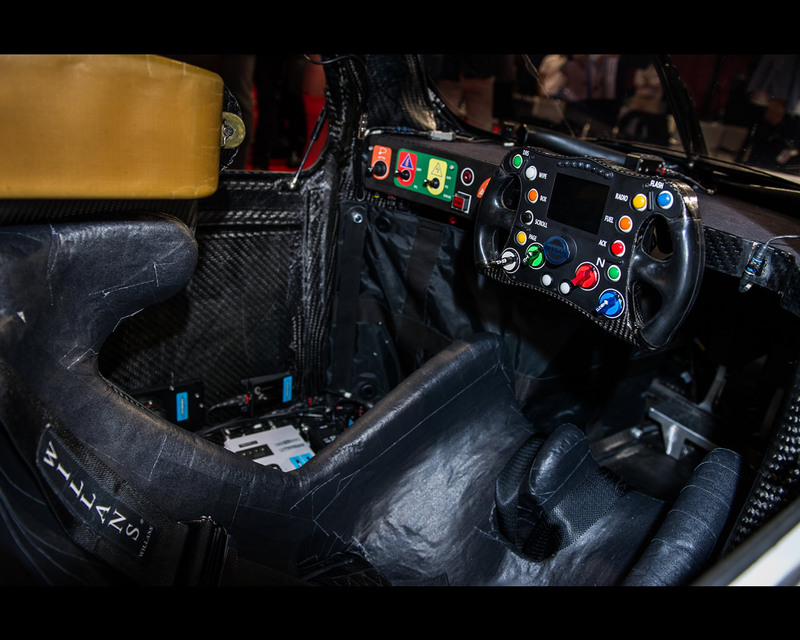 The car will reach speeds in excess of 300km/h (185mph) and lap the famous French circuit faster than an LM GTE car. 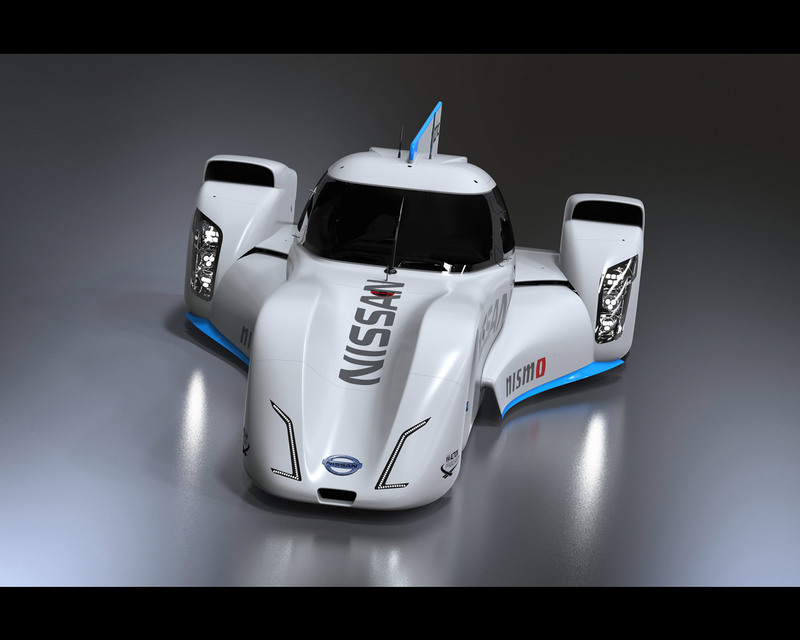 The driver will be able to switch between electric power and a small lightweight turbocharged internal combustion engine. The car – which shares the same battery technology as the Nissan LEAFNissan LEAF – will recharge the battery via regenerative braking. 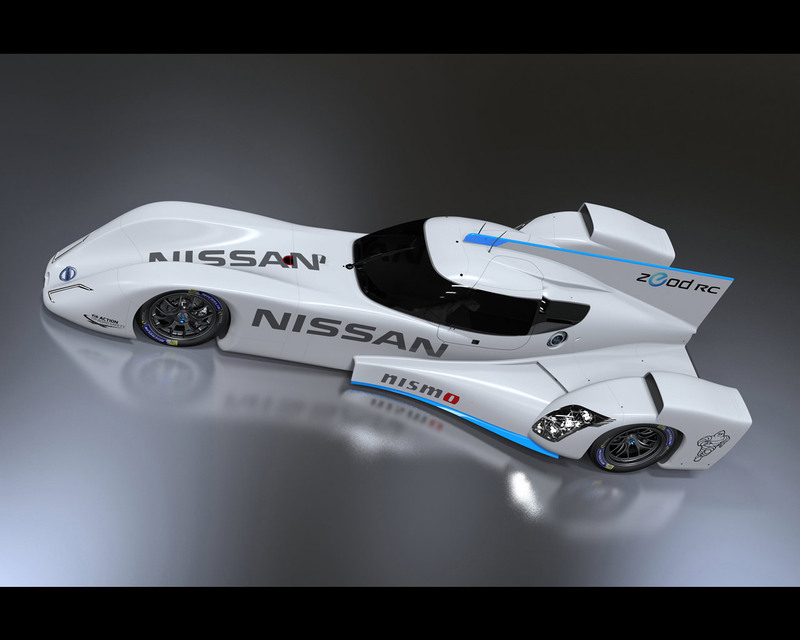 “This weekend is an important milestone in the journey to Le Mans for the Nissan ZEOD RC," Darren Cox said. 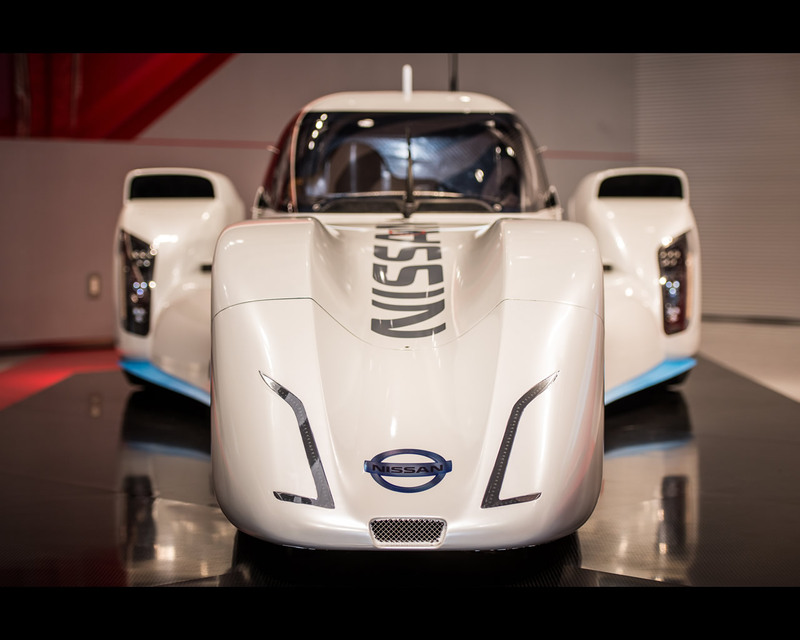 “Our goal for the program is to draw back the curtain for the fans to see the innovative technology that Nissan is developing. We could not think of a better place than the Fuji round of the World Endurance Championship for the actual ZEOD RC to appear in public for the first time. We have interrupted our intense testing in the UK to fly the car to Japan for this display for the Japanese fans." “Our thanks go to the Automobile Club de l'Ouest and the FIA WEC for not only inviting us to compete at Le Mans next year, but also for the opportunity to showcase the car here in Japan. “We're going to let Michael Krumm take a look at the car for the first time and he will join Lucas Ordóñez in a test driver role in helping develop the car. His experience in winning Super GT and FIA GT1 World Championships for Nissan will be a very valuable asset to the program. Michael is also a Nissan LEAF owner and a passionate believer in the future of electric vehicles for the road." 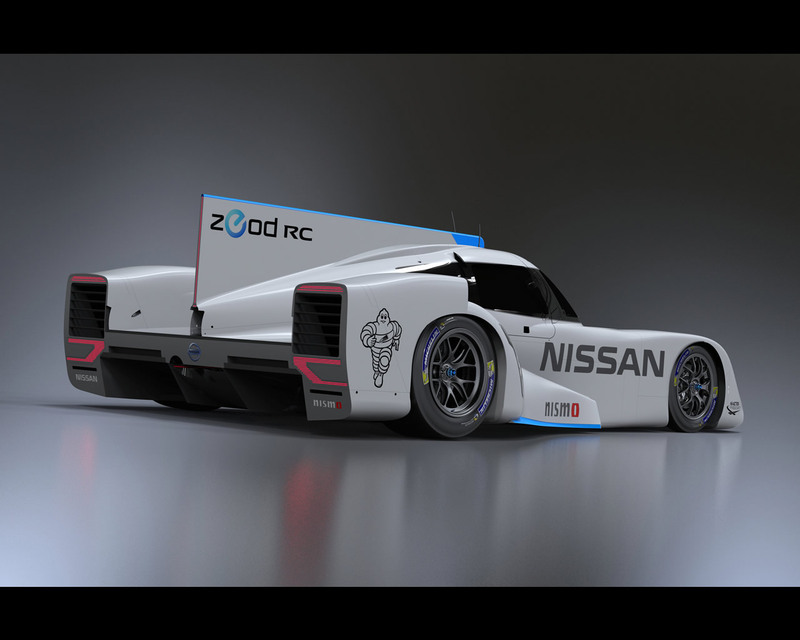 “The Nissan ZEOD RC will utilize technology never before seen at Le Mans and will provide a very unique experience for the fans," Ben Bowlby said. “To see the car go down the Mulsanne Straight at 300km/h in virtual silence will be very unique. 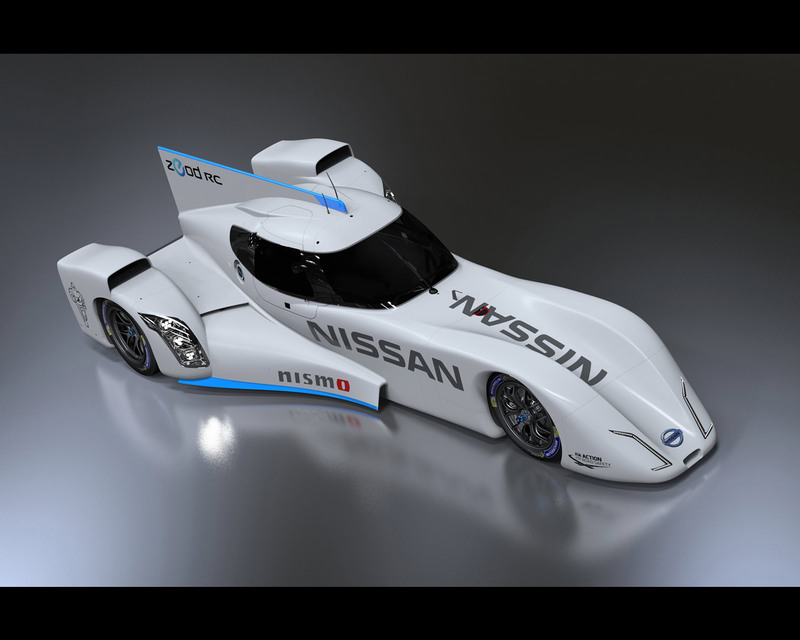 Developing the battery technology to incorporate this into a Le Mans prototype is an enormous challenge, but the lessons learnt will not only be very beneficial for the future LM P1 program, but also we can use this information to assist in the development of future versions of the Nissan LEAF and other electric vehicles for the road."